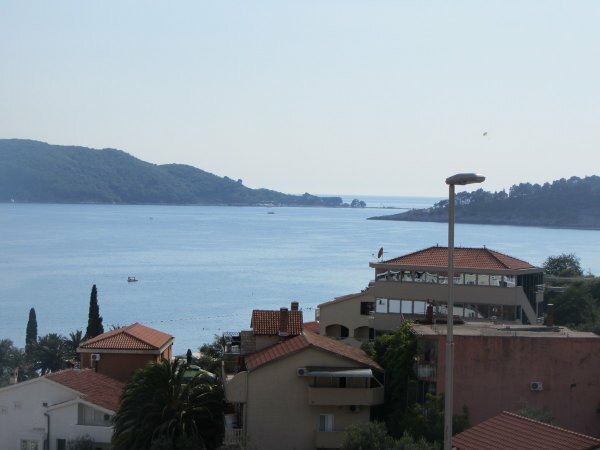 In the best, most quiet and picturesque resort townchoose property for rent in Montenegro in Rafailovići, which is only 4 km away from Budva. There are six floors in a single-section building. 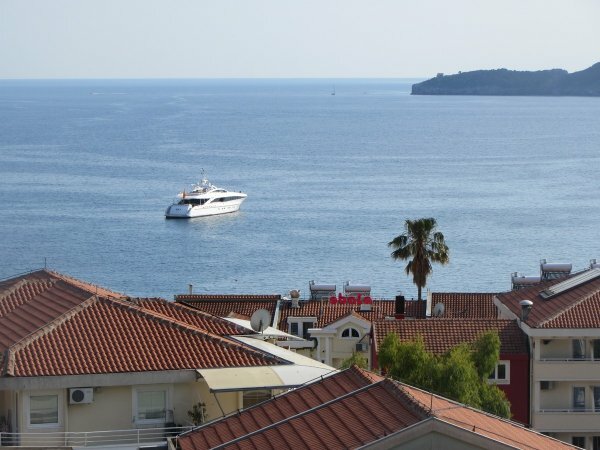 You may choose apartments for a comfortable stay: two apartments with two rooms and four apartments with one room (№ 31-36), which offer a magnificent panoramic view of the Adriatic Sea. 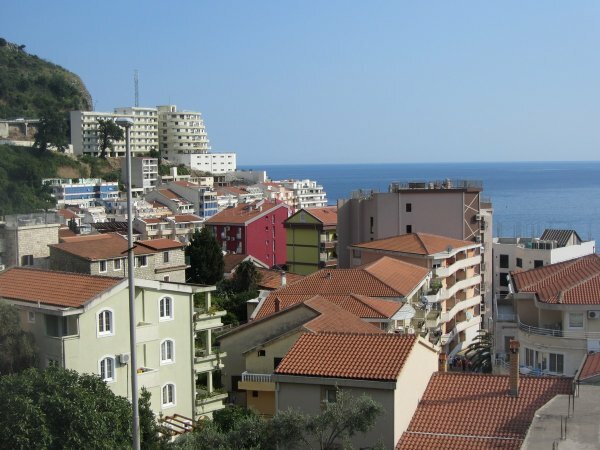 All apartments are located on the fourth floor on one vestibule, the area ranges from 28m2 to 35 m2. A grocery store is less than 100 m away. 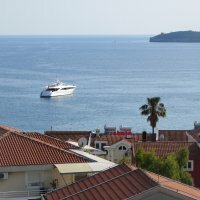 Early morning and late evening the boats (without a parachute and with it), yachts and scooters will delight your eyes. 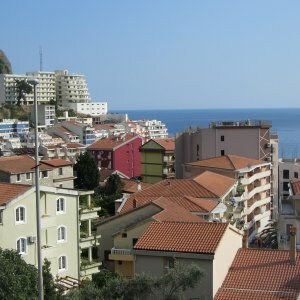 There is a beautiful island of impressive dimensions located one kilometer from the coast. The rooms have everything you need for a comfortable stay: cable TV, free internet access, air conditioning, a double and two single beds, a refrigerator, a kitchenette and a bathroom with shower. There is also a washing machine (Bosh) for six apartments. The first floor is occupied by a cozy Gaga restaurant, the menu is in Russian. 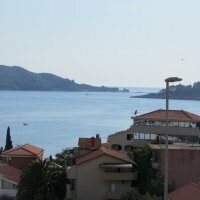 Apartment 150 m from the sea in Rafailovići №31, 1 room, four-place (30 m2). Dear guests, studio apartment №31 is not for rent! Please, look at № 32 – 36.